Exactly one year ago today I was arrested for the crime of dedicating my entire life to building a more just, developed and sovereign Brazil. They blocked my candidacy for the Presidency so that I could not walk up the ramp of the Capitol building, pushed by the hands of every one of you so that, together, we could revert the dismantlement of the Brazilian state that was promoted by my persecutors. 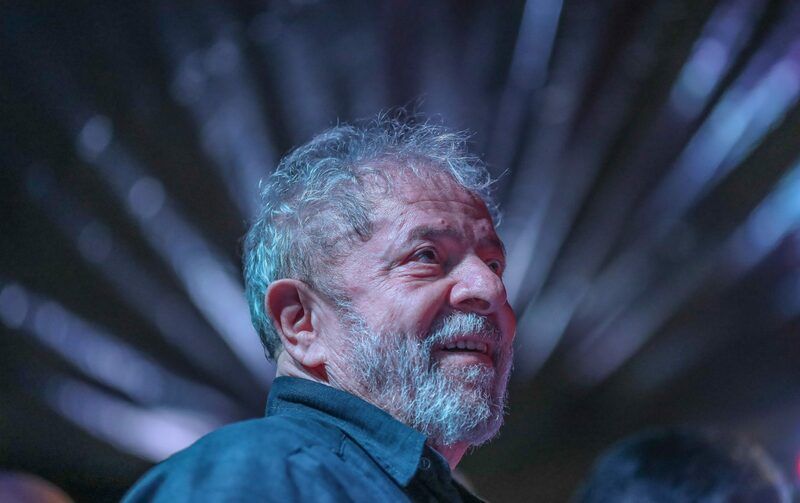 For exactly one year, I have cherished the daily yells of “Good morning,” and “Good night, President Lula,” shouted from the hearts, not only of the brave members of what is now one of the longest vigils in history, but also by the solidarity which is arriving from all corners of Brazil and even from other people around the World. During the funeral for my grandson Arthur, the entire nation was surprised by the immense and unessesary repressive security apparatus set up against me. Squad cars, helicopters, military soldiers carrying heavy weapons – everything to prevent me from even waving to the people who came out to show solidarity with the pain of a grandfather.